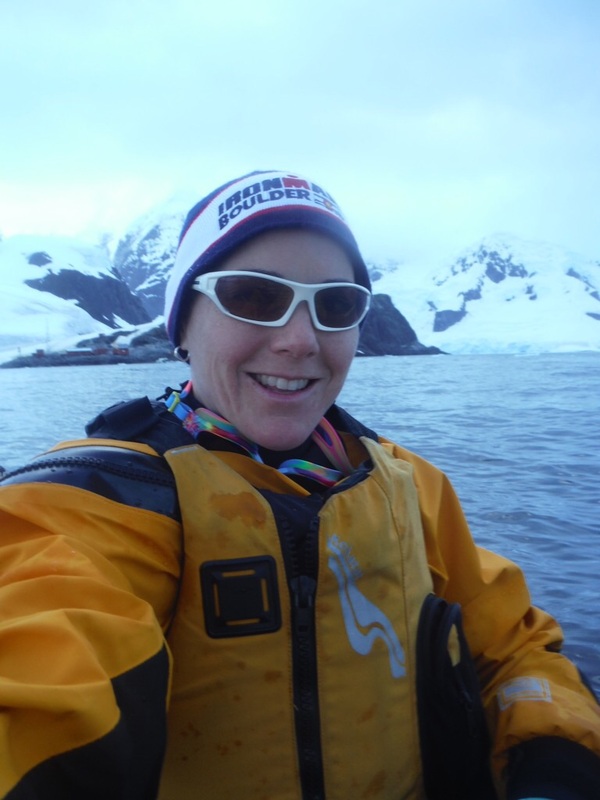 From March 2-17, 2015, 7th grade Science teacher, Ms. Erin MacNabb, explored Antarctica as part of the One Ocean Expeditions and Marathon Travel and Tours. (Spoiler alert: Ms. MacNabb was the second fastest female racer and 10th overall out of 136 finishers!) 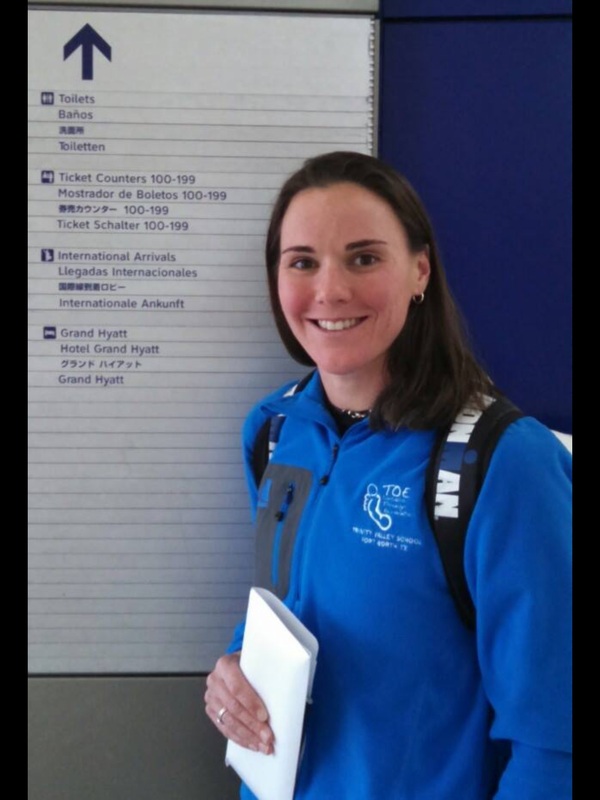 She wrote this blog to share her new knowledge and experiences with her students, colleagues, friends, and family (read some of their inquisitive questions below). Click here to scroll to the bottom. Or, start here at the beginning of her adventure! As I sit enjoying the comforts of DFW terminal D, I have nothing but pure joy and excitement as I look forward to the experience that awaits me. Many may ask the question, “Why?” and my response would be “Why Not?” But to understand my answer, one must unpackage what is beneath it. Why not – travel to a foreign country where you don’t speak the language? Why not – go alone; without knowing one other person? Why not – immerse yourself in a culture that is different from your own? Why not – spend 10 days on a boat? Why not – embrace the cold weather? Why not – venture to a place in the world few get to see with their own eyes? Why not – study the subject you teach in person; the glaciers, the environment, the weather, the wildlife, and the history of the continent? Why not – run 26.2 miles through mud, gravel, ice, and snow? Why not – experience a opportunity of a lifetime? In life you have all sorts of choices to make… I choose to experience all I can in this world and live with the attitude of “why not”. If a situation is uncomfortable, tackle it. You will become a better and stronger person from it. Here is to all of us becoming better, stronger people! Greetings Earthlings! I survived the ten hour overnight flight to Buenos Aires, Argentina. It was a pleasant flight WITHOUT WiFi 🙂 I do have to say that sometimes it is nice to completely disconnect from the world. I managed to write in my paper journal for a while and slept most of the rest of the flight. I spotted a gentleman in an Ironman hat and figured he was going the same place as me so I introduced myself. His name is David and he is a Trauma Surgeon at Mass General Hospital. I am attaching the article below that was written about him. Many of you may remember hearing about the Boston Marathon bombing in 2013. David ran the Boston Marathon that year and finished about an hour before the bombs went off. He immediately went to the hospital where he worked and began caring for those injured in the bombings. What a wonderful example of selflessness and caring for others. I am honored to have met him. I located a few others traveling with the group and we proceeded through customs together, boarded the bus, and now I have safely arrived at my hotel for the next three days! My roommates name is Lisa and we are getting along great! She is a graduate student at The Wharton School in Pennsylvania. I can not wait to catch some sleep tonight. What a wonderful first day! I joined five others for lunch today at a local restaurant about a 20 minute walk from the hotel. I had not idea what the menu said but I did recognize one word, Pollo, so I ordered it. It ended up being Empanadas and was most delicious! We made our way back to the hotel and everyone liked to comment on the fact that I wore my backpack around town in front of me (instead of on my back) to be sure nothing was stolen out of it. (We were warned ahead of time of professional pick pocketers around town.) Once back at the hotel about 40 of us went out for a light training run around the city. We started in a very wealthy part of town but turned around in a very poverty stricken part of town. There were stray dogs everywhere. Never seen so many and it was hard because I wanted to take them all home. Here is the link on science teacher, Pat Mosley from Savage, Minnesota…. What a jam packed day I had!! 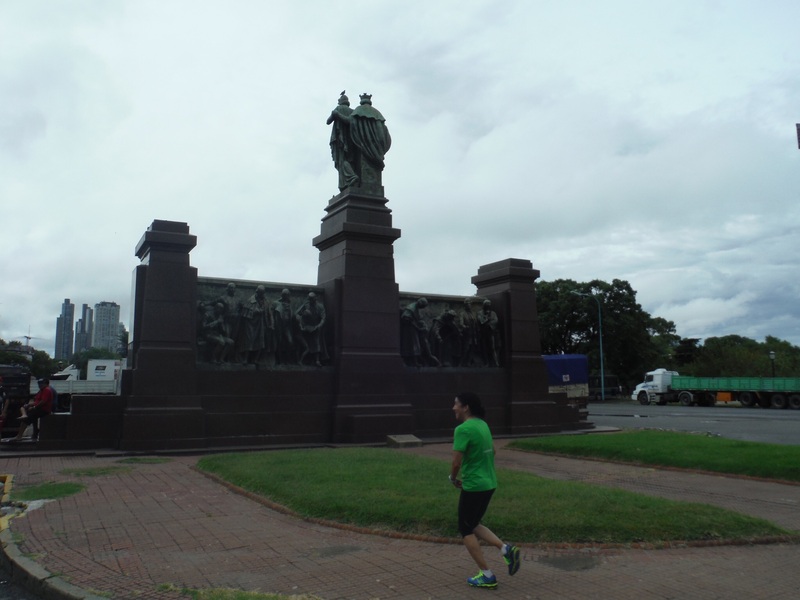 I began with a bus tour of Buenos Aires. We drove around and stopped in a few places to get out and walk around. The city of Buenos Aires is composed of 48 neighborhoods. Today, we were about to see 9 of them. The students are just starting their school year this week. Their summer break runs from Decemeber 15 – March 1. This is because of the flipped seasons. Our next stop was to the Presidential District. The current president is a female. The last president died in 2010, and his wife took over the presidency since then. The President lives about an hour away and helicopters in to work each day. The building below is the Presidential Building. There are dog walkers everywhere! 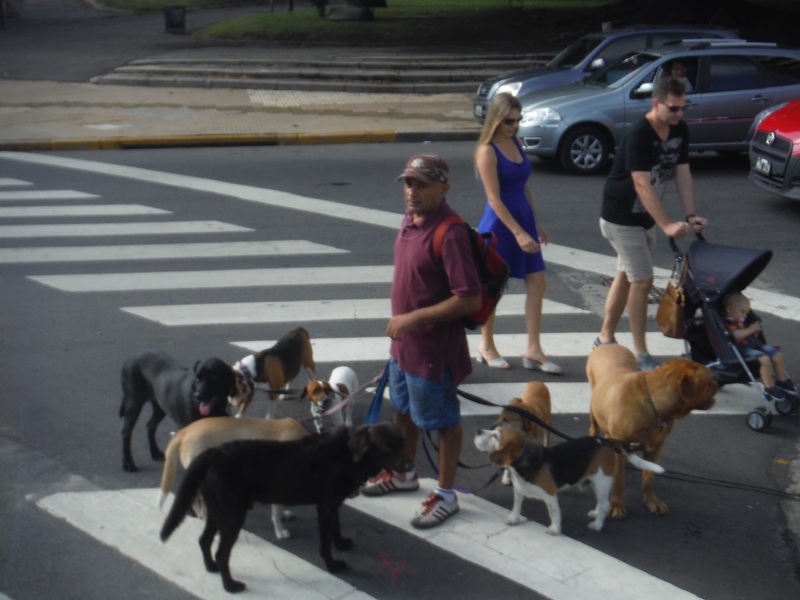 The city has a limit of 8 dogs per walker but some do not listen and can have up to 20!! A quick run along the river wrapped up my day and then dinner with friends! Tomorrow I am taking a ferry across the river (35 mile wide river) to the country of Uruguay for the day. Until next time….. I just returned from spending the day across the river in Uruguay! Why? Why not? 🙂 I went with 8 other folks from the tour group. Upon looking at a map of South America, it appears that it is bladder end by the Atlantic Ocean. 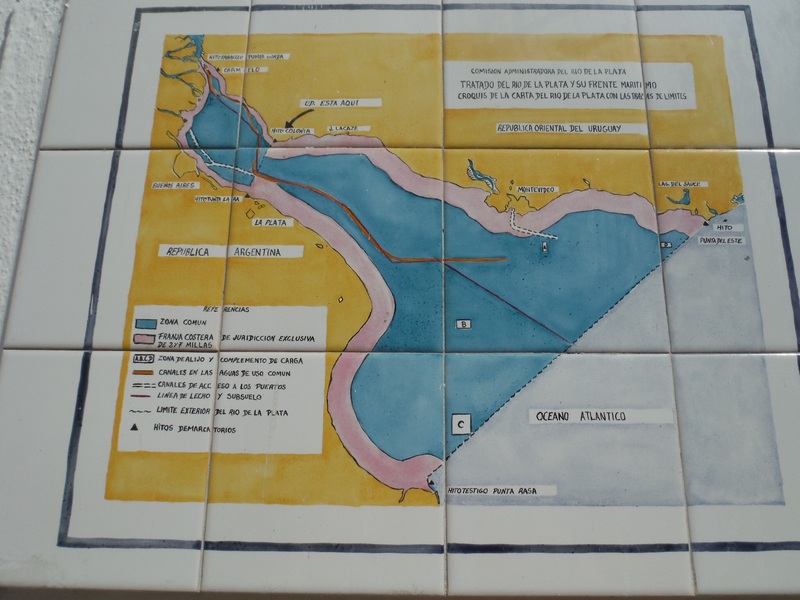 However, after further investigation, it is the end of the Rio de la Plata flowing into the Atlantic Ocean. This creates an Estuary; transitioning from freshwater to salt water. The town of Colonia del Sacramento, Uruguay is a very old town founded in the late 1500s. 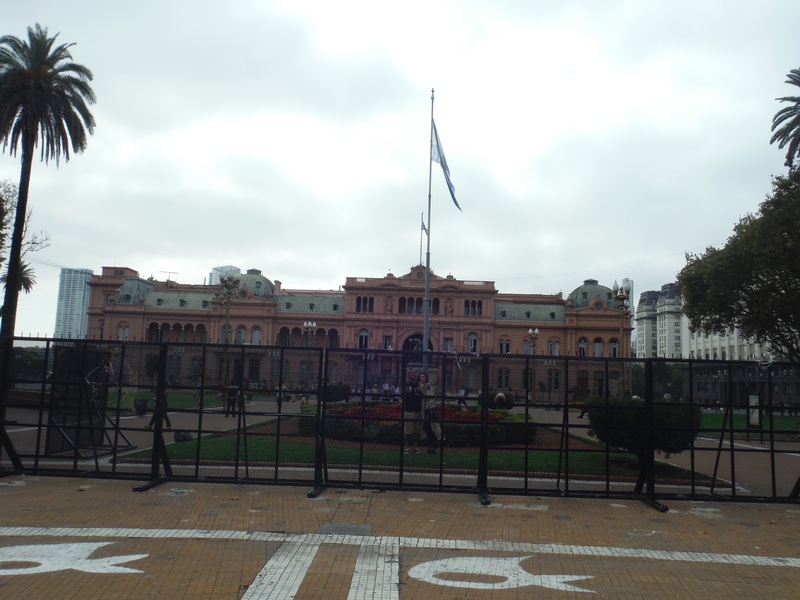 The culture was fantastic and it had a much nicer flair than Buenos Aires. 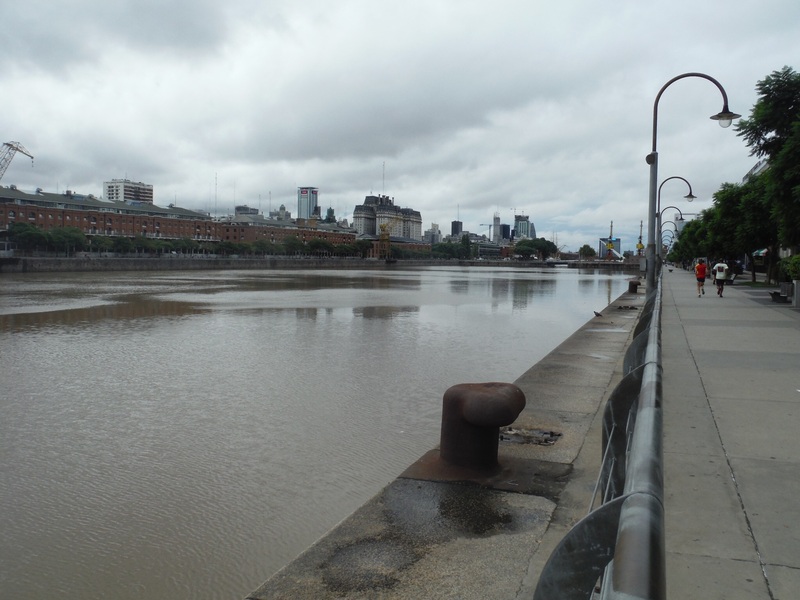 We mingled around town, dipped our toes in Rio de la Plata, had authentic food, ran a 1.5K in Uruguay, and crossed the river back and forth on the Buquebus Rápido. It was an hour Wachowski direction to cross the river. Click on the images below to enlarge. Not a stray dog – No dogs are allowed in family homes in Colonia. Tomorrow is when the studies begin. I have to be in the lobby at 3 a.m. to catch the first flight to Ushuaia, Argentina. I hop on the boat and set sail for Antarctica tomorrow evening. From here on out, there will not be pictures until I return as there is no internet to post pictures on the boat. Dr. Roemer (TVS Director of Global Initiatives) will help with keeping the text blog updated when I can get a message out. Happy Feet is waiting for me! I was up with the beautiful sunrise this morning around 6 am. The colors in the sky were just breathtaking. A quick change and down to the first floor to the gym I went. The gym is a small room about 12 x 12 with a treadmill, elliptical, rowing machine, and some free weights. If you have never run on a treadmill on a moving ship, it is quite the experience. In order to have a frame of reference, I watched the swinging jump ropes to have an idea as to whether I would be running up hill or downhill as the treadmill moves with the boat. Breakfast was a buffet style and some mingling time with the rest of the boat. My afternoon today will consist of a presentation on Whales of the Antarctic and The Antarctic Treaty. We will not be getting off the boat until possibly tomorrow as we are currently crossing the Drake Passage. We have lucked out so far that the seas are relatively calm as this passage can be one of the most deadly in the world. The wind blows ALL the time and the area between South America/Africa/Australian and Antarctica has the longest fetch in the world. Fetch is the distance that air can move in the atmosphere before it hits land. Once it hits land, the wind slows and is deflected in another direction. 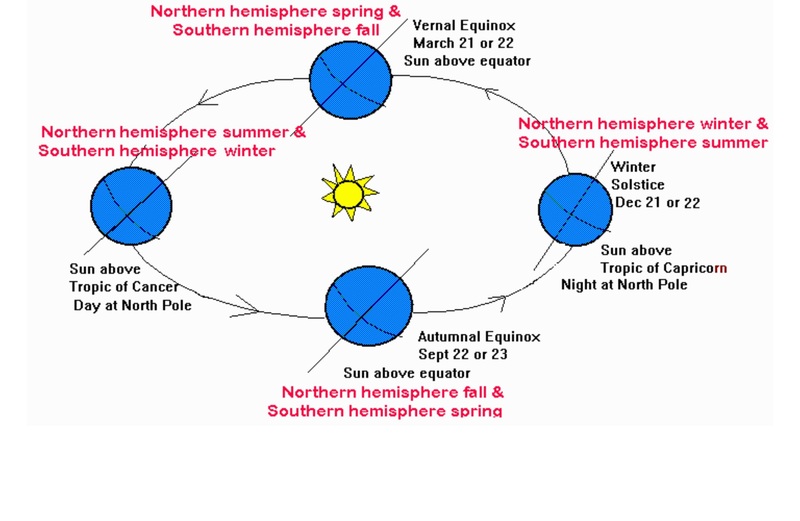 However, in the Southern Ocean, air can move all the way around world and NEVER hit land. Therefore, the air transfers the energy to the water creating much larger waves than in other oceans. My goodness is this a busy ship!! We are always going, going from one activity to the next. I woke up a little earlier today to try to catch up on the blog. Monday – We had our first chance to get off the boat and visit land. We visited Half Moon Island and a colony of Chin-Strap penguins. Chin- straps are very easy to identify as they are the only penguin with a white face and the obviously black line (“strap”) that goes around their chin. Much of the colony was molting. This is a large energy consuming process and they must remain still and limit their water exposure for 30-40 days. There is a lone Macaroni Penguin (like Lovelace in Happy Feet) that makes its home with this colony. No one knows why he lives with the Chin-Straps but the expedition teams to the island affectionately call him Kevin or Kenneth. Along our hike to the colony we were able to see the Gentoo Penguins and many male fur seals. The fur seals are very aggressive and will approach you if you are not paying attention. The young males are practicing their dominance for the future. This creates many play fights and is very amusing to watch. The evening lectures included information about specific penguins and glacier ice. So much information and yes, I do take notes in the classes. Monday evening was spent getting ready for the Marathon the next day. I was number 133. Water, Gatorade, and food had to be carefully planned as you could not bring any wrappers or plastic onto King George Island. Tuesday morning wake up call was bright and early as we attempted to dress appropriately for the zodiac ride to King George Island. The wind speed was 35 knots and usually the expedition team will cancel all zodiac excursions at 30 knots….. But this is no normal expedition. The waves were huge but our crew managed to get us ashore safely. The temperatures hovered right around 0*C but the wind was picking up even more which made the wind chill feel below zero. The course had to change slightly as our original course out to the Uruguay base was so muddle the ATV vehicles were getting stuck in the mud. Instead, we ran through the Chile and Russian bases out to the China Base and back six times. This was a blessing as it allowed us to see and cheer for our boatmates many times. I felt great the entire run and finished in 4:06:49. This was a great time as they say you typically run about 45 minutes slower in Antarctica due to the cold, mud, and hilly terrain. My time was good enough for second place female overall! 🙂 Contrary to most races when the temperatures get warmer throughout the day, the temperature continued to drop throughout the day. I took off my gloves after one loop of the course and was fine until the very last lap when I wished I had my gloves as the temperatures continued to drop. Although we were encouraged to immediately return to the ship to get warm, I was allowed to stay and cheer on some of my new friends as they finished. Back to the boat for a relaxing evening, chill time, and preparations for the next day. 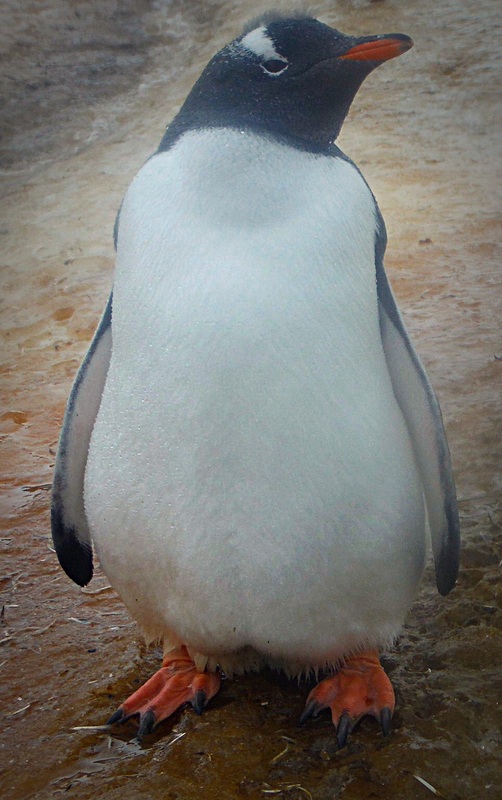 Wednesday – This morning we prepared for our visit to a colony of Gentoo penguins. A quick zodiac ride to the island followed by about 3 hours to visit with the molting penguins. These penguins were much more curious than the Chin-Strap penguins and came much closer to us. Along the shore line we were also greeted by a couple fur seals and a half dozen Weddell Seals. These seals look like slugs or inch worms as their front flippers are so short, they can not push themselves up to move. They have quite a bit more blubber than the fur seal making them much slower and less aggressive. Upon return to the Vavilov, we quickly changed and headed over to the sister ship Ioffe. The Ioffe housed another 100 runners/expedition team and we headed to a BBQ on their deck. Awards were presented after and I was recognized as the second place female out of all runners. We returned to the Vavilov for a relaxing evening together. Thursday holds an expedition to Danco Island and a hike to the top for a spectacular view. Currently the weather is too rough for kayaking but my group is up next so hopefully we will make it out to kayak this afternoon! As my journey is nearing its end, I must reflect back on the last few days on the White Continent. Thursday (March 12)- Flexability is the name of the game when it comes to excursions in the Antarctic. Our excursions this morning were canceled due to high winds and waves. 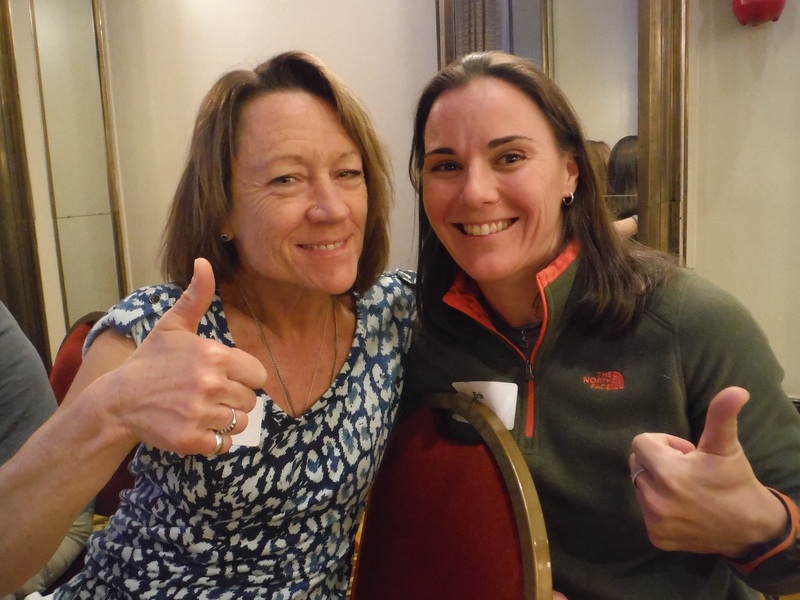 Instead, we heard about Sophie and Ewie’s (adventure staff) two week unsupported kayaking adventure on the Antarctic Peninsula. Anything they needed they carried on themselves or in the kayak. Each night they had to find a safe place on the ice to camp. Following that presentation, I saw the film, Chasing Ice. Cameras have been set up in Alaska, Canada, Greenland, and Iceland to chart glacial changes over time. The afternoon looked more promising for a kayak adventure, so we suited up in our dry suits and lifejackets, boarded the zodiac and headed toward our drop in point. We had three get in their kayaks before the wind kicked up again and set my roommate, Lisa into the icy waters. The guides made the call to bag kayaking again today as it posed more danger than not. Instead, all the kayakers were dropped off for a hike up a small island to a wonderful peak overlooking the glaciers below. I managed to snap my usual handstand photo at the top of mountains throughout the world. On my venture down the hike, were were greated by many, smelly, Gentoo Penguins. They are so interesting to watch. I could sit all day and watch their interactions with each other. 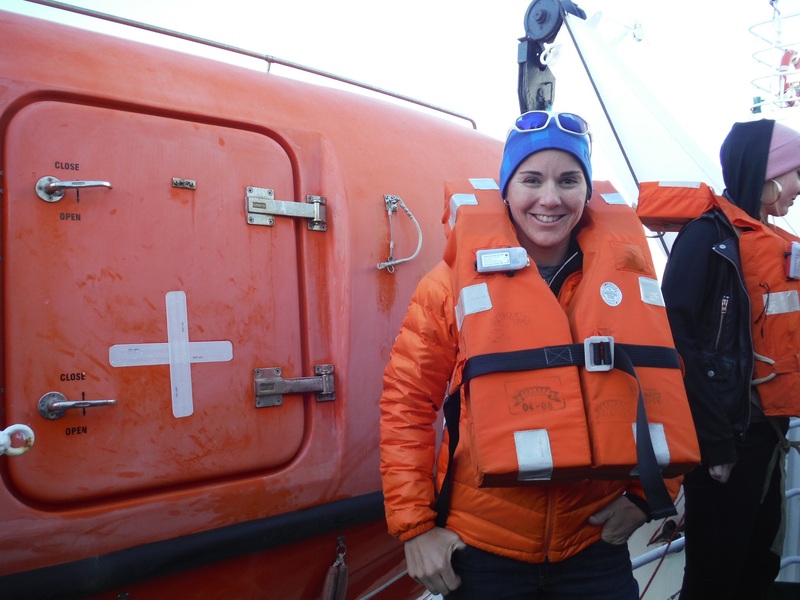 Friday (the 13th)- The expedition leader, Cheryl, decided on a very early morning Friday as the weather was going to be beautiful and we have much to see before we depart for the Drake Passage later in the evening. My group of kayakers suited up for our venture and headed out early. We paddled for a good two hours around the Harbor of the Argentine Brown base. This is an abandoned research station as it was burnt down by the doctor stationed their in order to be rescued quicker. 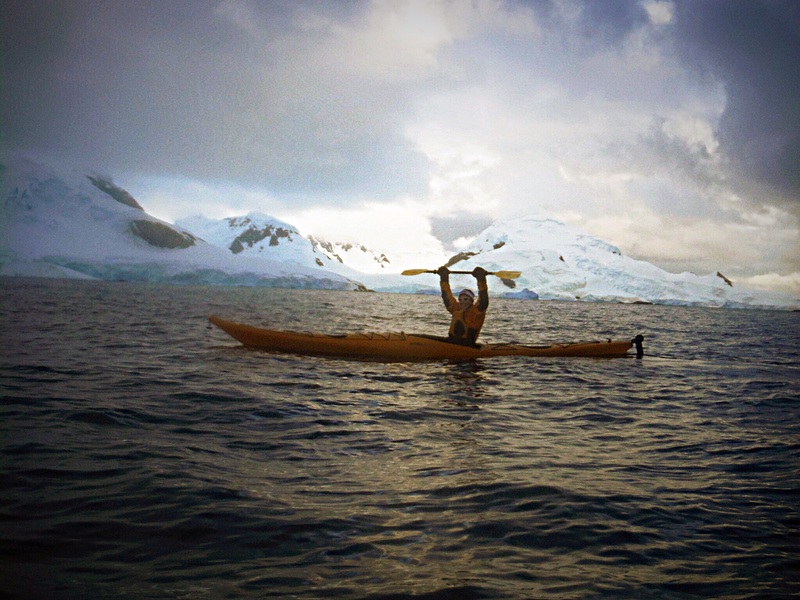 We paddled among three other 60 ft boats sailing in Antarctica by themselves. We met one young man from Palestine. 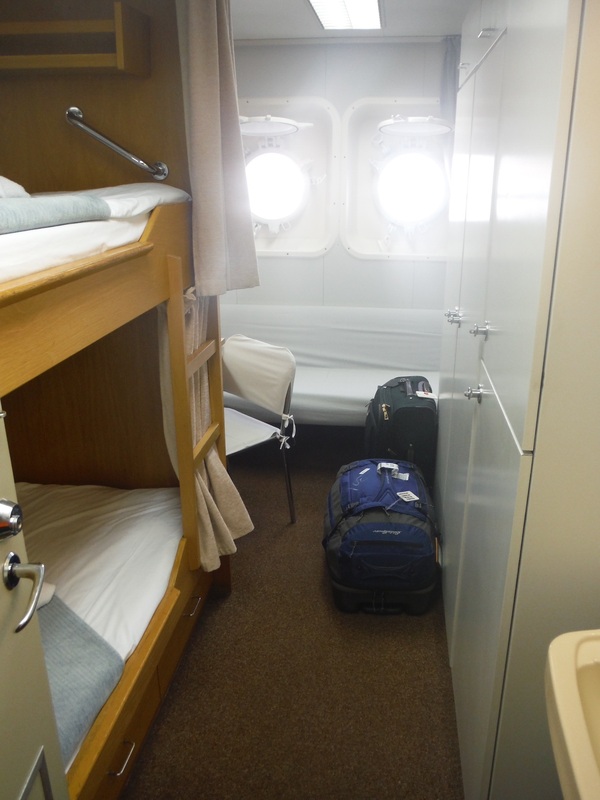 It had taken him 18 days to cross the Drake Passage compared to our 2 days in a larger vessel. We spotted a Leopard Seal and a Humpback Whale while paddling but also just enjoyed the pristine beauty of an area of the world relatively untouched. Before leaving Paradise Harbor, we jumped into the water on purpose for our plunge. However, many were upset that we weren’t allowed ta ke our kayak dry suits off so we talked with the expedition leader and we would be allowed to jump in following our evening excursion. We made great time to Willhemina Bay were we were going to be whale watching from the zodiacs. The whales were feeding in full force. It was just mesmerizing to watch. At some points I had to consciously put my camera down to just enjoy the beauty of what was happening. We got to experience bubble feeding. The expedition leaders were super excited because they do not see bubble feeding often. A group of whales circle under water and release bubbles, this causes the krill to become trapped in that area. Meanwhile, one of the remaining whales dives down and opens his/her mouth and grabs the krill trapped in the bubbles. Each humpback whale can consume 22,000 Liters of water and krill at a time. The water is filtered back out through the comb/straw like teeth and the remaining krill is swallowed. The whales are consuming as much food as possible as they will start migrating north in about three weeks. They do not eat when they migrate north but rather breed in warmer waters and then return with their young the following summer. Before we turned in for the evening, we had three curious fur seals approach our zodiac and they then proceeded to show off for us. A quick change into swim attire on the boat and back to the zodiac we went to complete our “real polar plunge”. It was fantastic and not as cold as I was expecting (only 0.6* Celsius). Special thanks to Cheryl and One Oceans Expeditions for making this to happen. Saturday (March 14)- I think I slept more on this day than the entire trip. Crossing the Drake Passage was a lot more rough this time and I felt the rocking of the boat. 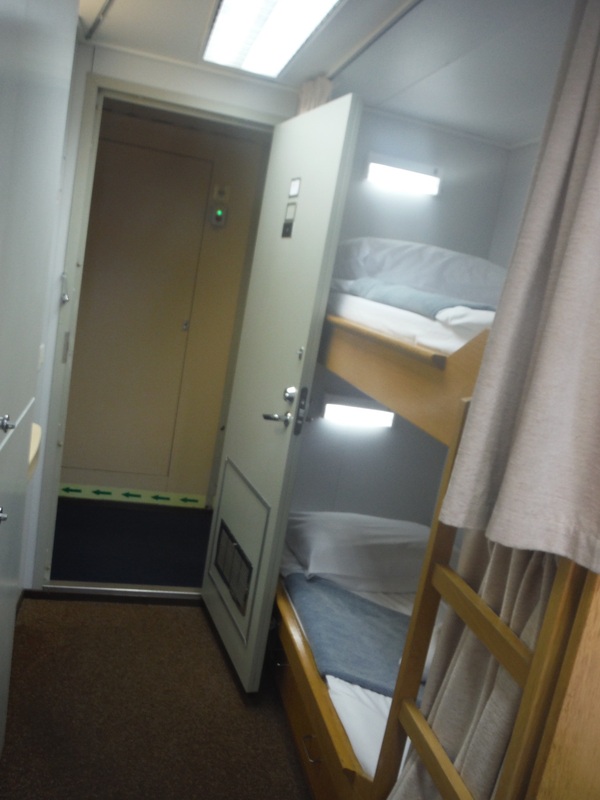 It made me dizzy and a bit nauseous so I would get up and go to the educational presentations and then rest in my cabin…. Then repeat. Derek gave a talk on the Unsung Hero of the Antarctic: Krill. Theresa gave a presentation on Pinnipeds (Seals). Both presented very interesting information that I will share with you upon my return. Sunday (March 15)- I am feeling much better today as the seas have calmed down a bit. We had to settle our accounts and gather our legal documents (passports, visa tax, and official Antarctica tourist forms. We then saw a short film on a voyage around Cape Horne against the current. It was filmed in the 1920s and then narrated in the 1980s. Very interesting everything that was done prior to all the technology we have now. We dock back at Ushuaia, Argentina tomorrow morning and go our separate ways back to the reality of the world. Looking forward to seeing you all when I return on Wednesday, 3/18! May the penguins be with you! in the footsteps of Amundsen and Scott. You are so brave; testing what it is to be alive! So excited for you Erin.We are looking forward to your blogs. I agree, Ms. MacNabb. There’s no reason not to take an opportunity of a lifetime! Have fun in Antarctica and enjoy the trip! Harper – Thank you for your support! Looking forward to sharing when I return! Safe travels. How cool you get to live what you teach. Thank you to everyone who has left well wishes thus far! We hope that you are having a good time and are adjusting to the weather. We love your motto “why not” because we have agreed that most of us are not as brave to go on this adventure. We have prepared the following questions to further understand what your experiences are. – How is the transition to writing on a iPad to writing on a paper journal? – How many suitcases did you bring? 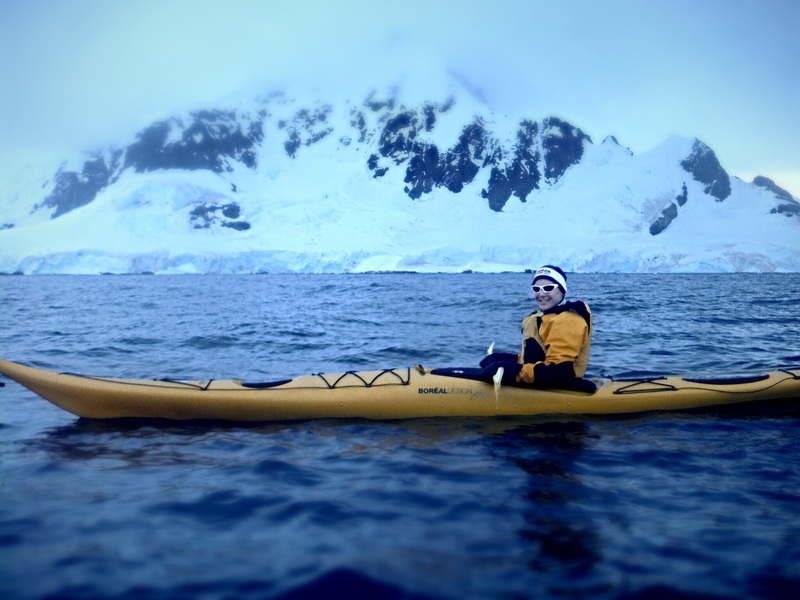 – What are you doing to prepare for the 10 day voyage on the journey to Antarctica? – How was it meeting new people that enjoy the same interests as you? Don’t get sea sick and take a selfie with a penguin for your Beautiful B’s! – How is the transition to writing on a iPad to writing on a paper journal? I love technology but I love keeping paper journals. I love to flip back through them many years later. It is a fun process for me. We are all happy you had a safe flight to Argentina. Since you will be spending 3 days in Buenos Aires, what will you be doing to pass the time? TO MY CLASSY C’S …..
We hope you are enjoying your stay. -What is the temperature at the moment? -Is the language barrior difficult to overcome? -Where are the races going to be held? -Where is your roomate and man you met at the airport from? -Culturally, is there a large difference from home? Well, we hope you have a great time! Seems like a great oppurtunity and good luck in your race! Your Excellent/Exceptional/ and Exciting E class! this is E class. we forgot to put the name at the beginning. Today the temperature was in the 70s and 80s… It rained quite a bit in the morning but cleared out in the afternoon. A lot of the older sidewalks are made of tile so it is quite slick walking around. Language – OMG! I feel like a infant having a difficult time telling its parents what it needs. I am figuring it out and when I see something I recognize, “Pollo” I get excited 🙂 Luckily I have made friends with some bilinguals and they have helped me around town. The Marathon and Half Marathon is held on King George Island. David is from Boston and Lisa is from Philadelphia. That is really cool Ms. MacNabb. Traveling the world is one of my hobies and it is just a great adventure. When I went to Buenos Aries, my hotel was really HOT. Is yours? Also, Have you seen any penguins in Buenos Aries, I did not but that does not mean you haven’t? How many other people are running in the marathon besides you, Lisa, and David? Was the culture different from Texas? During your 10 hour flight did you watch any movies? If so what? What is the nationality of Lisa? Were you more excited for Buenos Aires or Antarctica? Are you more excited for Antarctica or were you more excited for Hawaii? How big was the plane? The plane was a 777 – 2-4-2 seats. What food did you eat? I got food in the airport for dinner and took it on the plane. I was a good thing too because they didn’t serve dinner until 10pm and well, that is past Ms. MacNabb’s bed time 🙂 Breakfast was yogurt and I brought my own protein bars with me. Was the culture different from Texas? The area is VERY poor. Some of the housing is just hard to believe that people actually live there. It makes you become very thankful for what you have. Architecture is amazing!!!! So many cool old buildings! Are you having fun? YES!!!!! What is the nationality of Lisa? Great question! I will ask her! Were you more excited for Buenos Aires or Antarctica? I am taking it moment by moment and enjoying my excitement about it all. I have never left North America so this is all exciting! Thank you, Mrs. Harper!! Can’t wait to see you and the baby soon. But until then, I will keep soaking up as much of this trip as I can! -Have you ever been to South America and what are the differences? -Do the other runners speak english? This is my first time in South America and I have now visited two countries 🙂 Where I am in Argentina it is very busy and very dirty. Lots and lots of trash lying everywhere. Most all the runners speak some English although it is not the first language of some. – What does Pat teach her science class? – How old is Muhit Rahman? – What did you have for dinner at the banquet? – How did your traning go? Pat teaches 600 students grades K-6. They learn about animals, plants, cycles, environment, geology, and many, many other tics throughout those 7 grades. The dinner at the banquet was salmon and veggies. All is well running wise. Just a short run each day and they rest of the time to experience the culture. What was the wildlife like in Fauna? How many people from Texas are there? Lizzie looks happy but she misses you. Enjoy your trip!! The weather in BA is hot and humid. Temperatures now are in the 80s and because it is so close to the ocean, their is a lot of moisture in the air. I am the only one from Texas that I have met so far! So excited for my across the hall BFF. Life has been boring here compared to your adventure. The kids had to be picked up by 4 because it is supposed to sleet:):):). Your Selectives missed you in Sweet Tooth. Meet a lot of friends and continue to write to us. Ms. MacNabb, you should have been right at home in the cemetery. I’m sure you told your roommate that your Dad owns a funeral home and crematory. Also the dog walkers reminded me of Sean Penn in the movie “I am Sam”. Keep the updates coming. We miss talking to you. So excited for you!!! Be safe, meet people, have fun, run carefully! Enjoy the 80s on our ice day! Lizzy is warm and happy. Carol wants to get her out of her cage every 10 minutes. She’s a fan!! Good luck running in Antarctica. We are all cheering for you. On Thursday we got 2&1/2 inches of snow with no school! Why is there a law for having a maximum of eight dogs? I am not sure why the law is in place. My guess would be for sanitary purposes. I’m guessing it will be a long boat ride, but exactly how long do you think the boat ride to Antarctica will be? 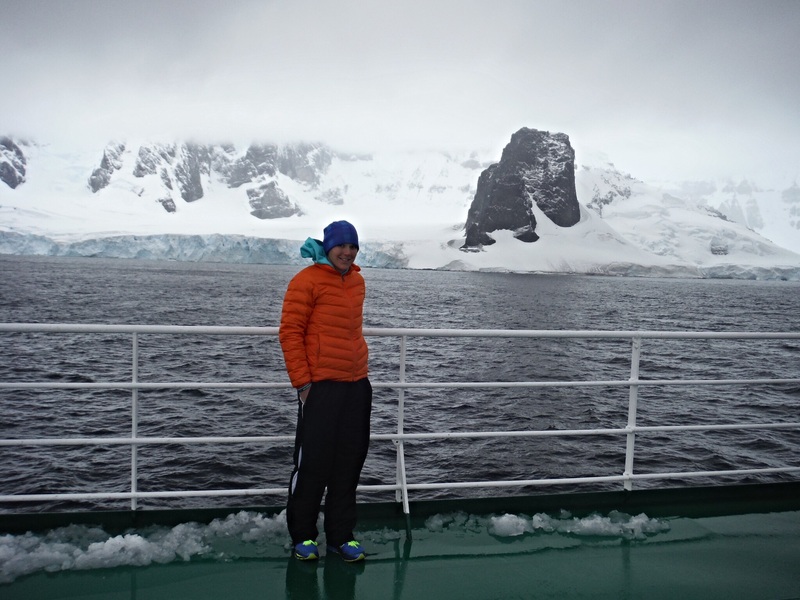 Greyson – on a large vessel it takes about 2 days to get to Antarctica! Hope you are having safe travels and you have adjusted to the time change and language barrier. It is so incredible the experiences you have had and what is to come. We were wondering why dogs are not aloud in family homes in Colonia? It is my understanding that it is a cultural understanding that dogs do not enter the homes. How long was the bus tour? Is there more protesters in different sections in the Buenos Aires? Or is there any in Uruguay at all? 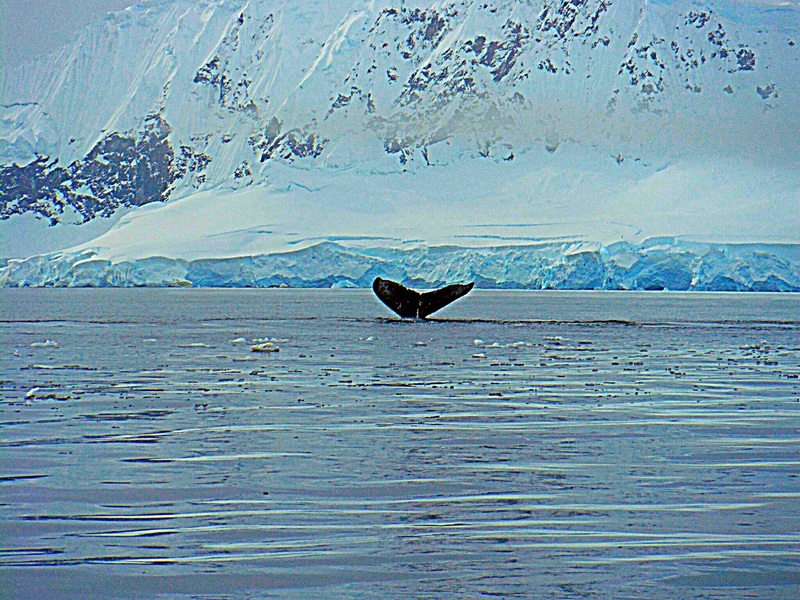 What day will you board the ship to leave for Antarctica? We’re curious about the dog rules too…..it seems so different! The bus tour was about 3 hours and very interesting. The protestors are all over in BA but none in Uruguay that I saw. I boarded March 6 and just returned this morning March 16th. What does Buenos Aires smell like? Antarctica? I think the smell of a location gives a great sense of culture. For example, India smells like dirt, manure, and car exhaust in many rural (and urban) areas, giving a sense of the crowded, poor environment. 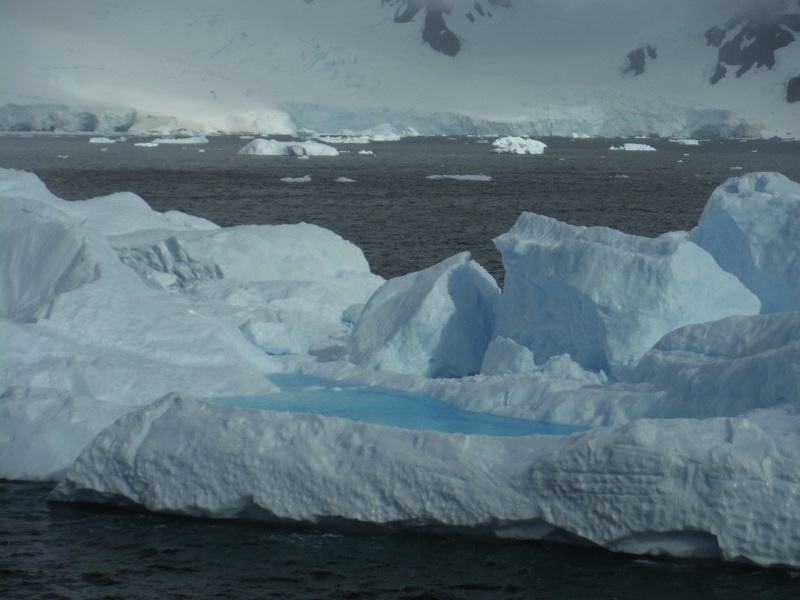 How are you planning to combat the cold weather in Antarctica? How many layers? Can you please take a picture of you dressed for the marathon? I was also wondering if any of your fellow athletes were vegetarian, like me. How would they compensate for the protein and iron they lack from not eating meat? Also, would there be a struggle in finding meatless meals in Antartica, as vegetation may be rare? Hi 🙂 All great questions. The air in Buenos Aires is very muggy and hard to breathe. It is not a very clean city as you breathe the air. Antarctica on the other hand is complete tranquility; an area of the world so untouched, so free, you just have to pause to cherish the breath. All meals on the ship could be made gluten free and meatless if necessary. Lots of salad, eggs, and beans were available each day! We hope you have been safe on your trip. Why our dogs not allowed in family homes? What was the elevation of the light house? How long was there trip from Argentina to Uruguay. The trip to Uruguay was an hour boat ride. I took the express boat but there is another slower boat that takes 3 hours. Hi hope you are having a good trip. How is everything? -How are the locals, are they friendly? -Have you seen any people not obeying the dog regulation? -Last thing, was the cathedral really large or was it small? Hope you are haveing a blast, stay safe and have fun! The locals are pretty friendly and help us non Spanish speakers. The cathedral was huge!! And it is especially popular since the current Pope is from Argentina. I hope you are having a great time and learning a lot. Congratulations on getting 2nd place in all of the women in the marathon. 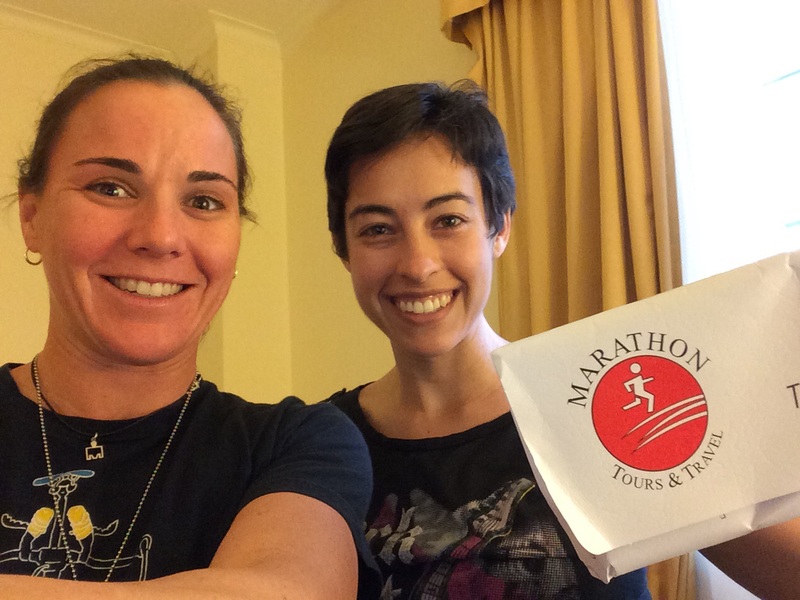 I was wondering, how does your nutrition plan leading up to a marathon in the United States difer from a marathon in Antarctica? Also, do you hydrate differently during a race in Antarctica? Hope you are having a great time! How is running different than it was is Hawaii? When you run what is all around you? Can’t wait until you get back and tell us about your adventures! 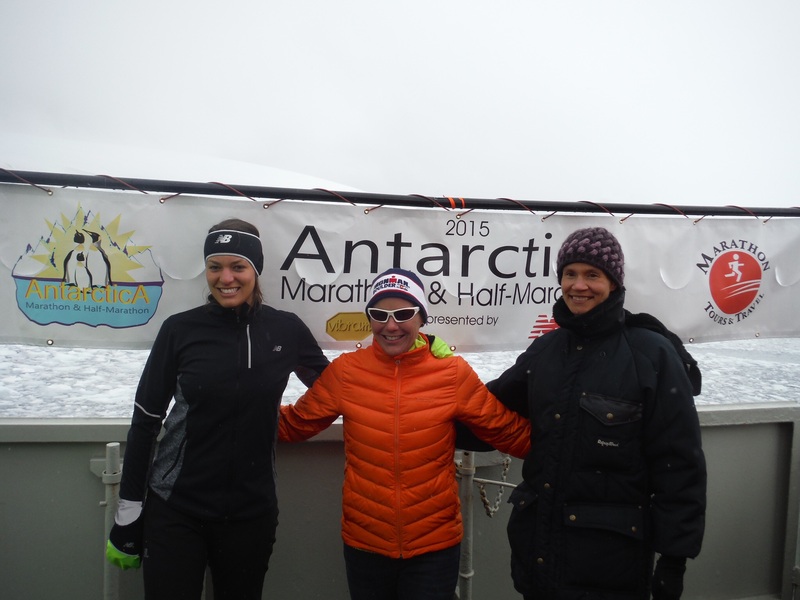 Running in Antarctica – Cold, windy, but a beautiful frozen tundra. We got to run through 3 research bases and enjoy the mountainous scenery around us! Congratulations on coming in 2nd overall for the women. I was wondering how you came in overall with everyone. John – I will have to go back and recheck the results but I was in the top 20 overall. I hope you are having fun with the penguins. I was wondering how violently the boat rocks back and forth? How does that has affect your daily life on the ship? 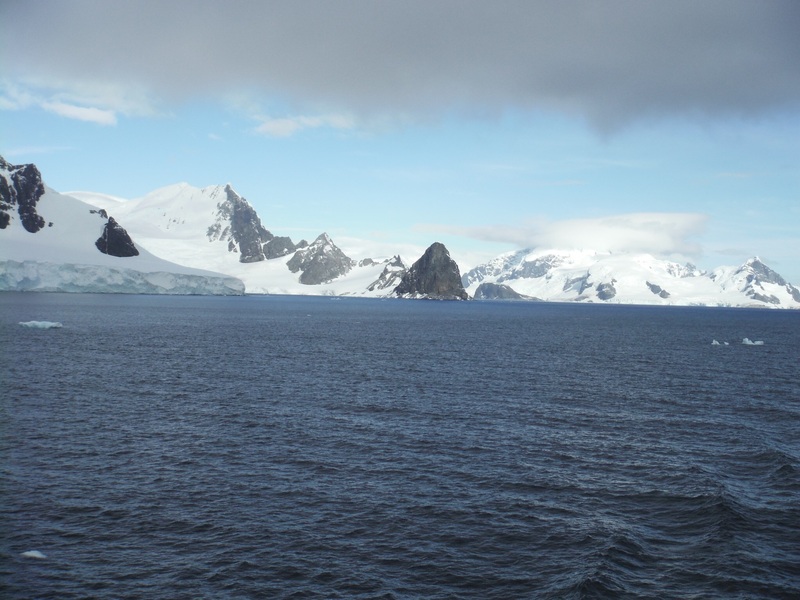 Taylor – The voyage across the Drake Passage to Antarctica was unusually calm. However, coming back to Ushuaia, it was much rougher. You can not walk around the ship without bumping into someone or something. In fact sometimes it rocked so much you felt like you were catapulted to the other side of the room! Definitely a challenge to get from one place to the next! This has been such a thrill to “tag along” with you on your adventure! So proud of you and WAY impressed with your marathon time!!! Safe travels back! The penguins sound really cool!! Thank you!! Definitely an opportunity of a lifetime!!! Did you see the Brian K. Allen Iceburge, it was named after him when he was like 11 I think? Where there any penguin babies with the adult penguins? This adventure is so awesome! All the pictures are extremely beautiful! Did you get to touch a penguin or a baby penguin? And also, congratulations for getting the second place female! In your room did you ever feel claustorphobic? It seems it would be cool to experience this amazing adventure! Congrats on second place female! Has it been difficult to adjust to living on a boat? It sounds like a big change but it also seems very fun, I hope the rest of your trip is amazing! What type of clothes did you wear while running the marathon? Also, if plastic was not allowed on King George Island, how did you get your water and Gatorade. How thick was most of the ice? Was the two hours of kayaking a challenge because of the temperatures? Seems as though it would be tough. Congrats on your second place! Congrats on getting second place overall female! All the pictures you sent were amazing! 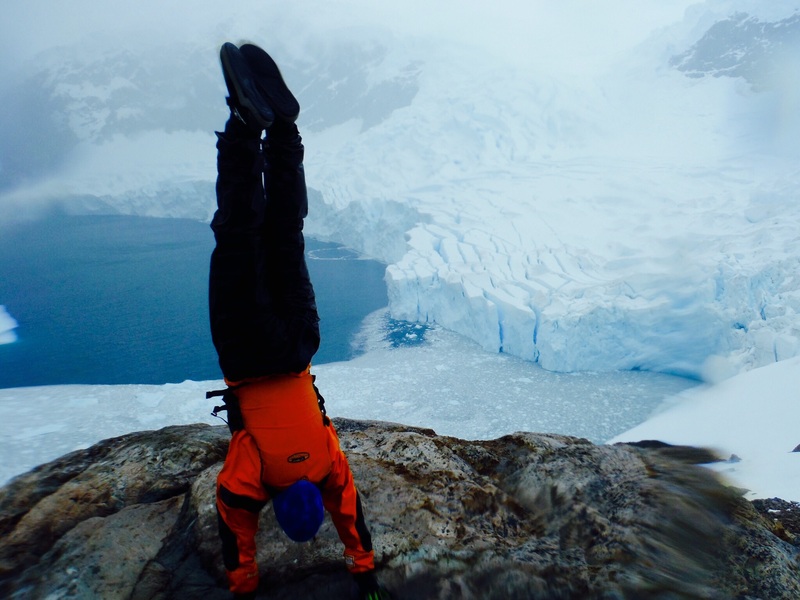 What was your favorite part about the whole Antarctic trip? Do you get sick of the rocking of the boat at night or does the boat stop moving during the night? I get sea sick so im just curious! Congrats on second place female!! I hope your having fun on your trip! Did you ever get sea sick on the boat? How cold did it get with the wind chill? That must have been a amazing experience to have. When you jumped into the water how deep was it right there? How many people in total ran in the marathon? You are an inspiration to us all! We’re proud of you! How long did you stay in the water? Congradulations on the second place overall female! I hope your trip was great. What was your most memorable experience that you had on the Antarctic Adventure overall? 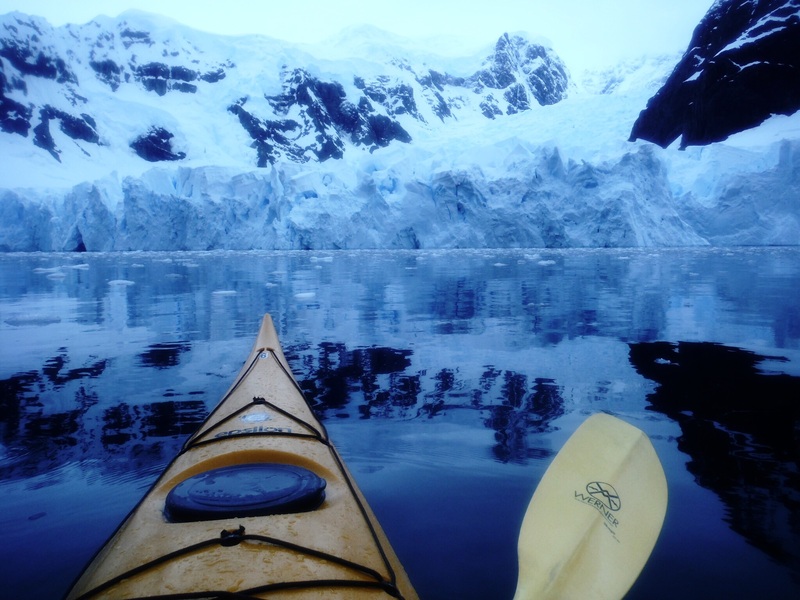 When you went kayaking did you experience any water getting into your kayak and if so how cold was it (temperature) and was it wavy or calm and did you experience any ice in your way? I hope you had a great trip and I am sure it will be an experience to always remember! 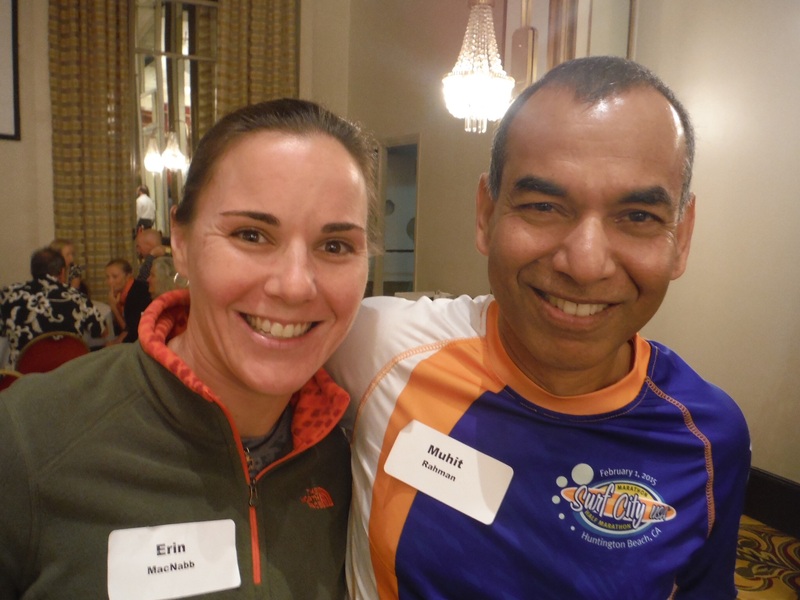 How tall were the waves in the Drake passage, and also how many people ran in the marathon? What a wonderful expierence! Did you see any different animals, other than penguins and seals. I hope you good stories and learned a lot. Did the seasickness ever wake you up? Congradulations on second place in the marathon! Congratulations on finishing in second place! Thats awesome! How was the race affected by the weather either positively or negatively? Did you enjoy the race more than you usually do? Was the race harder than you expected? Congrats on women’s second place!! Did you ever slip on ice during any piont during the race? Congrats on 2nd place for women! :) Was is harder to run in Antarctica than anywhere else before? Sounds like such an incredible expirence! Congratulations on getting 2nd place for women! It seems as if some of your friends gave speeches while on the boat. Did you give any speeches? Can’t wait to hear your stories tomorrow in class! Hopefully I can go on a adventure like this. You did good in the race. What was more fun antartica or buenos aires. Did any whales go under the zodiacs? What an amazing experience! Did anyone in your group get to pet a penguin? 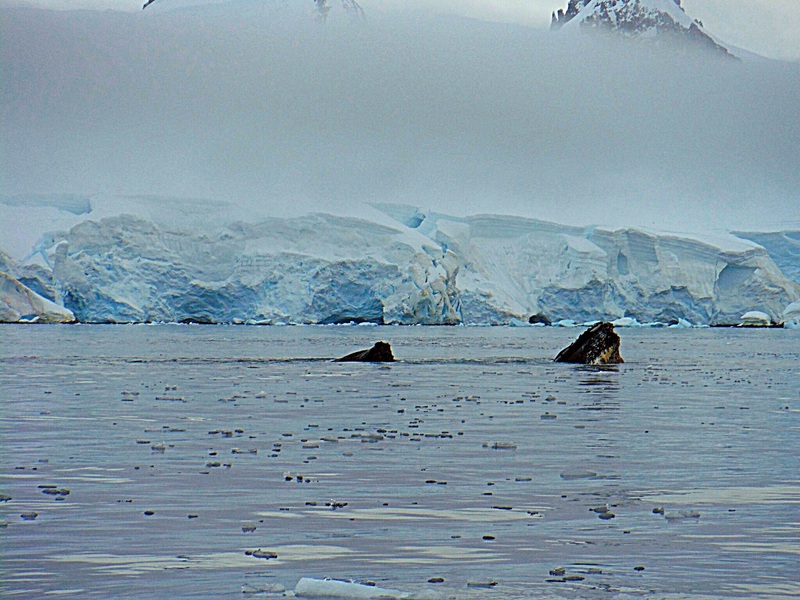 Did you learn anything on this trip that you didn’t already know about Antarctica? Wow! I’m so glad to have this access to something so incredible. Did you ever second guess your trip? I love that you do a handstand at the top of each mountain you climb. How far away were the whales that you saw? sounds Fun! did you get nervous about it before you left? Why was there a limit of only 8 dogs per walker? What was the warmest it got?